I have been knitting hats. I have been knitting them flat (as opposed to in the round), and I have been having a great time learning a new stitch. It all began with a message from an Etsy seller named Lilia. I went to her etsy site – Lilia Craft Party, and I started looking at her patterns. She has a large variety of both crochet and knitting patterns. 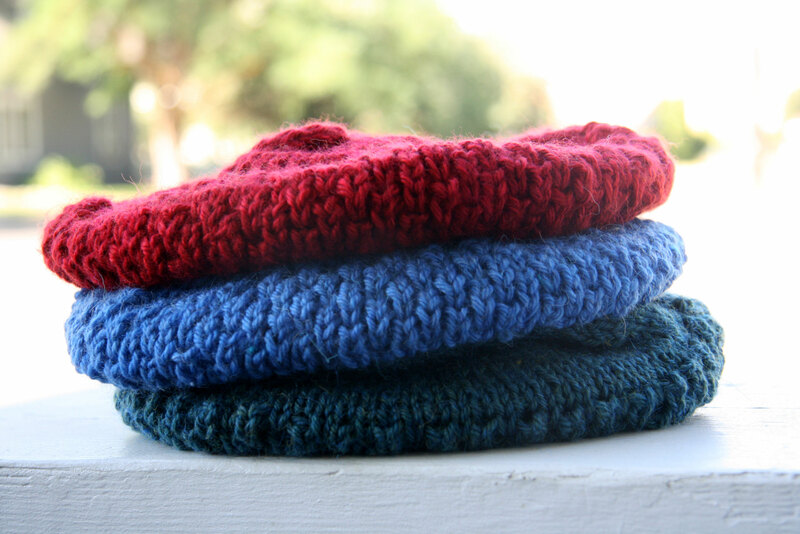 She has cowls, hats, cup cosies, handbags, headbands, scarves – there is a lot to choose from. I looked through the patterns, and there was a stitch pattern that caught my eye. 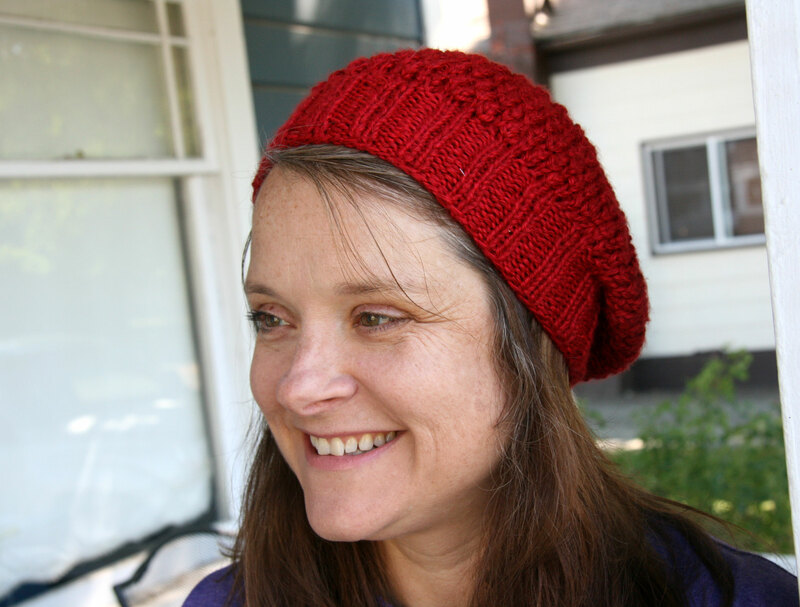 I chose a slouch hat with this pattern stitch, and then I chose a newsboy hat pattern. I’ve never worn a hat with that style of a brim so I wanted to try it out. The stitch pattern that was on both hats is called the almond stitch. I had never encountered it before, and when I googled it, I couldn’t find any information. This made me all the more interested in the stitch. I asked Lilia where she had learned it, and she said she’d learned it in South America. Knitting this stitch involves periodically dropping a stitch down three rows. This sounded scary to me, but it really wasn’t. After you drop it, you pick it up and knit it again. You only do this every other stitch on every 4th row, so the knitting still goes pretty quickly. You can get an idea of how the stitch looks in the following pictures. I had so much fun with these hats that I made three of them! When I started the hat, I just made the assumption that it would be knit in the round. I did this because I almost always knit hats in the round. The pattern clearly said that I should knit in rows, but I was just not paying attention. So I was knitting along, but my stitch just wasn’t looking right. Finally, I realized, “hey I should be knitting this flat”. I started over, and then found that I really enjoyed knitting it flat. There is not much of a seam required, and so that went really quickly. I used mattress stitch, and it took me maybe five minutes to seam up. I initially was just curious about the almond stitch, and I wanted to give that a try. But these turned out to be some of the best fitting hats that I’ve ever made. David worked hard to take pictures for me. He got some great ones of my little model Davey. I had him try on the newsboy hat. This picture is a little silly, but it shows off the side of the hat nicely. I really like the shape (and Lilia sells the plastic brim that you insert into the folded hem at the front – very easy to do!). I just really like this picture of my sweet kid a lot. David took a picture of me in the hat as well, but I like Davey’s pictures better! 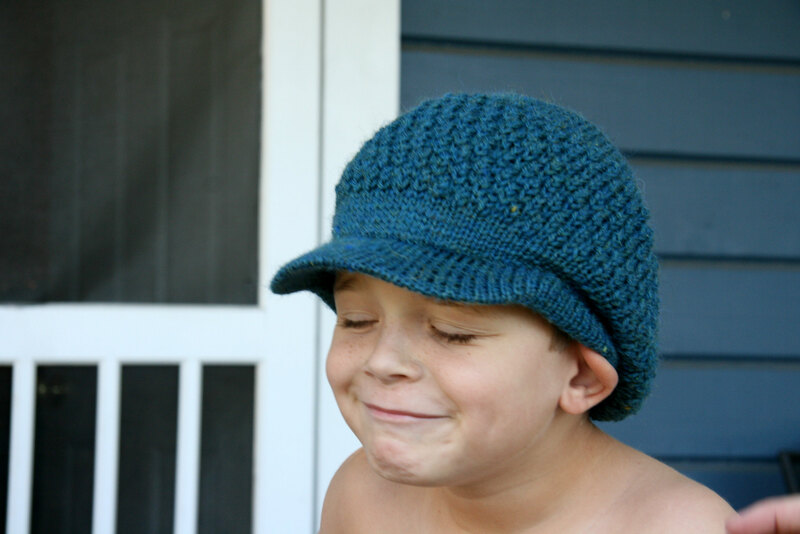 I made the newsboy hat and the hat below with Rowan worsted superwash. It’s a really pretty yarn that I had not seen before. It has an almost tweedy look to it. 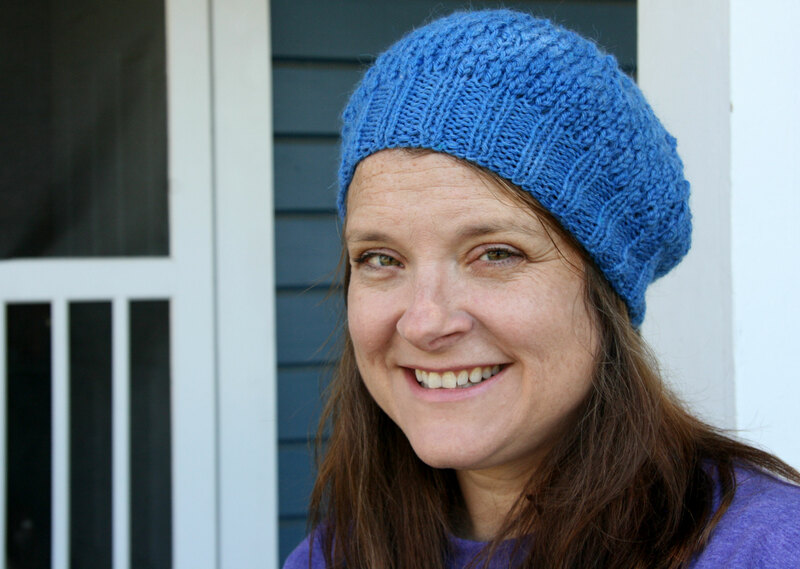 That’s really more pictures of me then I need to see, but I just wanted to show how beautifully these hats knit up in different yarns and colors. The first burgundy hat was done in a Lion brand acrylic. I like it a lot as well. When Lilia contacted me, I thought – “How neat. This nice person somehow found my blog and wants to share some patterns with me.” I am so glad she did. I learned a new stitch, and I learned that I can make awesome hats which are knitted flat. But most of all, I have really enjoyed talking to Lilia. She has been so helpful and friendly, and I have enjoyed getting to know her. 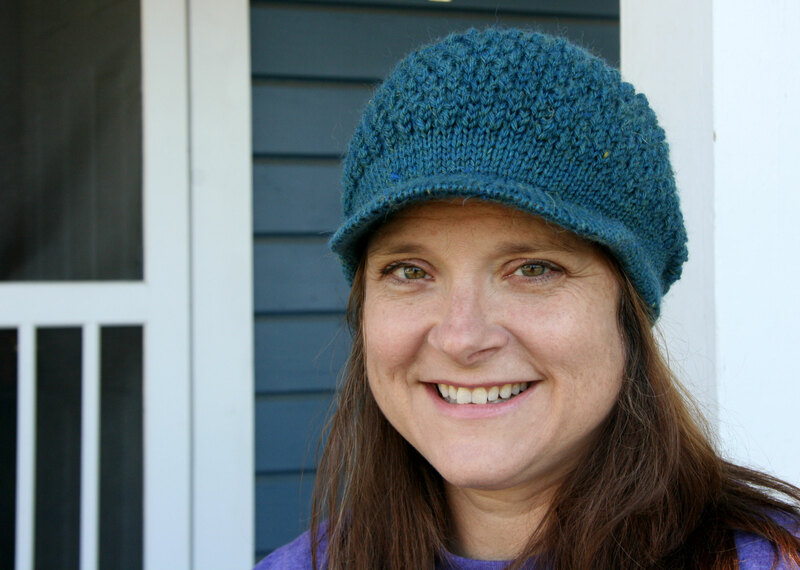 She has been crocheting since she was seven years old. I love that she has a passion for knitting and crocheting. 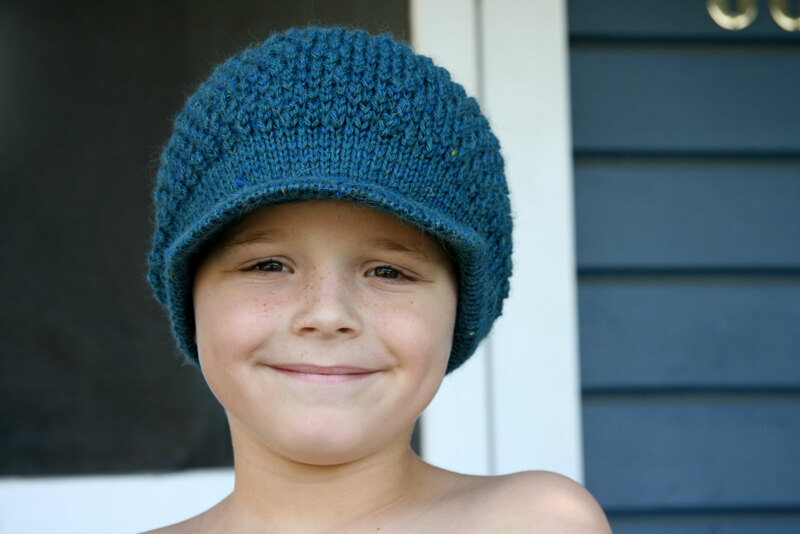 She says that she knits or crochets every single day – no matter what kind of day she has had. I am with her. I find the process very relaxing and therapeutic. Lilia includes great photographs with her patterns so you can see exactly how to do the almond stitch. It is important to her that she creates patterns that are beginner friendly, so her patterns include an explanation of how to do every stitch and technique required. I really enjoyed knitting her patterns, but I am really going to enjoy even more wearing the resulting hats! Check out Lilia craft party. You won’t meet a nicer more helpful designer. She is offering everyone who reads this post a 15% discount on everything in her shop. Again, just use the code HAPPYKNITTING at checkout! This entry was posted in Knitting and tagged almond stitch, etsy, liliacraftparty by cpeezers. Bookmark the permalink. Those are wonderful pictures. And great hats. I love the picture of you in the red hat! I will check out the etsy site. What I lovely post. I have made the most amazing friends with designers and dyers in experiences like this. I’ll say it for the millionth time…the community we create in it absolutely wonderful. Love those hats. Especially the newsboy hat. Thank you for introducing us to this brilliant designer. Thank you so much for your comment. I agree that we are in a great community! I always look forward to meeting someone knew and getting to know them. People have such interesting stories! Cute hats. The newsboy cap looks great on you.